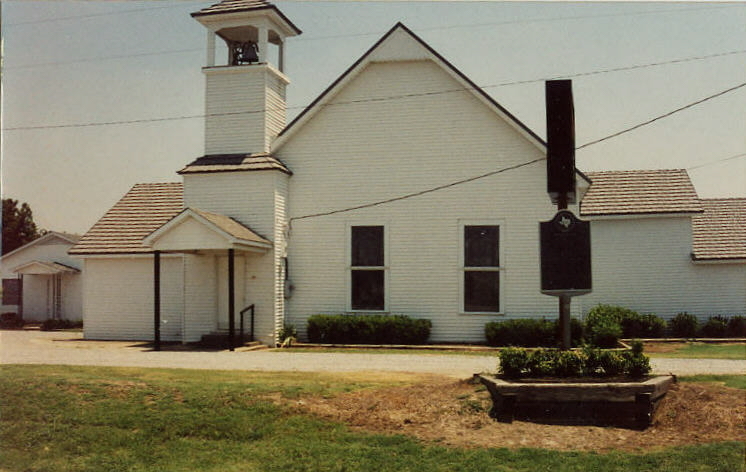 The Lebanon Baptist Church was organized on September 28, 1879. The first pastor was Rev. J.B. Kimbrough. The church built its first building in 1883 and the dedication was held in April of 1884. The building was located on the east side of Preston Road, which was also known as the Shawnee Trail. The Texas historical marker shown in the photo above is for the Shawnee Trail. The church had a large bell that it would ring on Sunday mornings. The bell could be heard from miles around. Farmers did not wear their watches when they were working in the fields and they relied on the bell at the Lebanon Baptist Church to tell them when it was time to get ready to attend services. The church was active until 2003, when Preston Road was being widened. The congregation gave the building to the Heritage Association of Frisco. who had it moved to the Frisco Heritage Museum complex. 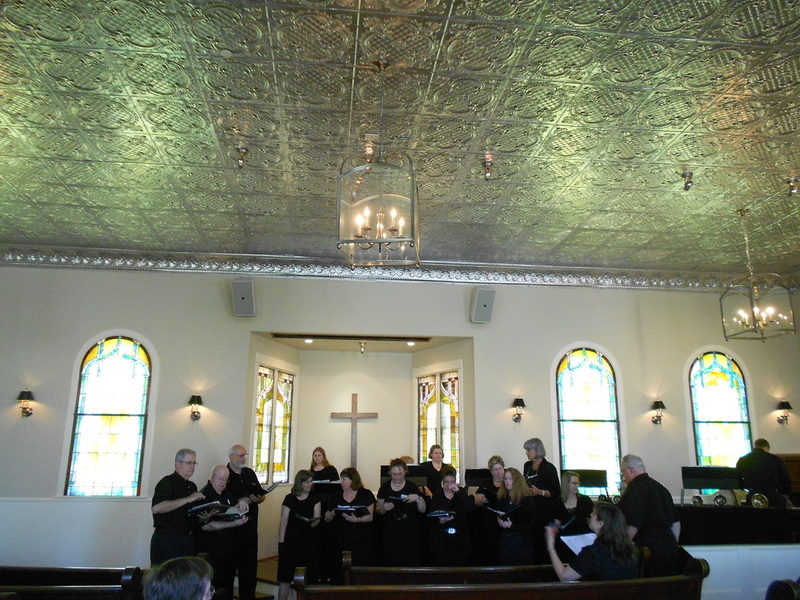 The organization obtained a grant from the Collin County Historical Commission to add stained glass windows to the baptistry.